BBC NEWS | UK | Will we be howling at the moon? Will we be howling at the moon? The brightest full moon in 15 years is being forecast on Friday - and experts are warning it might be the cause of some unusual phenomena. But is the moon's alleged effect on human behaviour an urban myth - or should we battening down the hatches and preparing for the worst? The idea that the lunar cycle influences human behaviour is well established, with many police officers, midwives, mental health nurses and even teachers willing to attest to it. There are also anecdotal stories of a surge of violence at the full moon, of maternity wards going into overdrive, of the patients in psychiatric hospitals becoming restless and students being unruly. 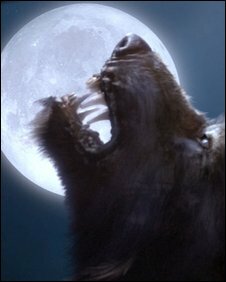 And of course, where would Hollywood be without werewolves - men transformed into terrifying creatures at the rising of the moon. But what is the truth about these supposed occurrences, and does the moon really have a scientifically-proven influence on humans? Predictably the answer is not that straightforward. According to Niall McCrae, a researcher at the Institute of Psychiatry at King's College London, science doesn't yet provide a definitive answer and a lot more research is required. He said: "It was thought that the moon could have affected the fluids in the brain, but that theory has been debunked by science. "Yet there is evidence coming up from studies that there might be some sort of biological rhythm." Mr McCrae, who is writing a book on how the moon influences people, said that existing studies have hinted at the possibility of a link between the moon and conditions like manic disturbance and epileptic seizures. But he said a definitive link is likely to take time to prove or debunk because "we simply have not discovered the right methodology yet". Until that link is properly examined, Mr McCrae thinks there might be another explanation for some of the behaviour attributed to the full moon - more light. "A full moon can make it much brighter at night and that can impact on people's sleep," he said. "Certain people who are already restless or insomniac could struggle more than usual to get some sleep. He added: "In today's urban environment most people are not even aware of the lunar phases, but it is so bright at night at the moment it will more noticeable than usual. "I doubt this would have a general effect on people, but it is possible it could have some small effect on people who are sensitive to these things." Mr McCrae said that at the moment much of the scientific evidence is contradictory, that funding for research in this area is hard to secure, and that few scientists would be willing to see their careers "diverted in this way". But stories about the effect of the moon continue to be popular in the media. In June last year the BBC reported that extra police officers were to patrol the streets of Brighton on nights when there is a full moon. It followed research by Sussex Police which concluded there was a rise in violent incidents when the moon was full - and also on paydays. Insp Andy Parr of Brighton Police said he compared crime statistics for Brighton and Hove with lunar graphs to discover the trend. Mr Parr told the BBC: "From my experience of over 19 years as a police officer we do seem to get people with stranger behaviour - more fractious or argumentative - when there is a full moon. "I think that's something that's been borne out by police officers up and down the country for years." Past research into the phenomenon includes a study by Professor Michal Zimecki, of the Polish Academy of Sciences, who argued that a full moon could affect animal activity and health. 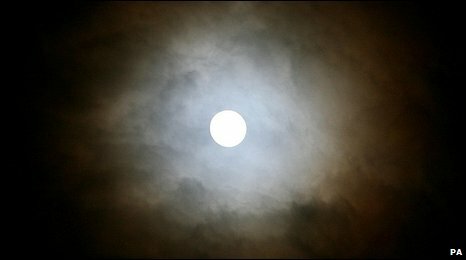 In 1998, a three-month psychological study of 1,200 inmates at Armley jail in Leeds discovered a rise in violent incidents during the days either side of a full moon. 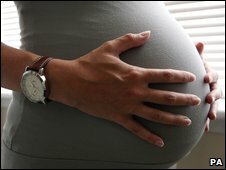 But there is disagreement in the medical world about the moon's influence on women going into labour around the full moon. Mervi Jokinen, practise and standards development adviser at the Royal College of Midwives, is certain the moon makes for busy wards. "It is certainly something that midwives say to each other and which gets passed on when midwives are training," she said. "We'll tell each other that we are bound for a busy night if we're working on the night of a full moon. "What happens is that lots of women's waters break at the full moon, or their membranes separate." But Peter Bowen-Simpkins, a consultant obstetrician, said research he was aware of had not found any correlation between the full moon and women giving birth. He did, however, concede that the menstrual cycle - which is supposed to last 28 days - was linked to the lunar cycle, although the reasons for the phenomenon were not clear.